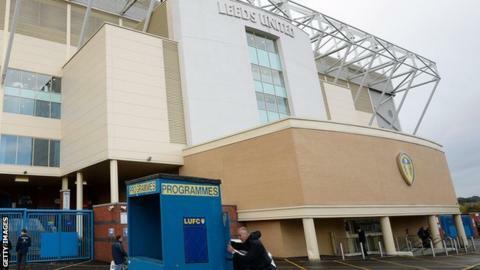 Leeds United have been issued with a winding-up petition by Sport Capital. The company, that former managing director David Haigh is associated with, are owed in the region of £1m. The money was given to the club as a loan, but the date for repayment has been missed and the petition is set to be considered at a hearing on 9 June. Sport Capital's attempted takeover of the club collapsed in January before Massimo Cellino eventually took control at Elland Road in April. Haigh, who joined the club's board when GFH took over in December 2012, resigned last month. This is the second time this year the club have been issued with a winding-up petition by an investor after former sponsor Andrew Flowers served them with one before withdrawing it when Cellino repaid the £1.5m he was owed. The Italian also had to pay a tax bill in the region of £500,000 and the remainder of players' deferred March wages after taking over in April. Leeds finished 15th in the Championship this season and Cellino has said the club must be "healthy" before it can challenge for promotion back to the Premier League.